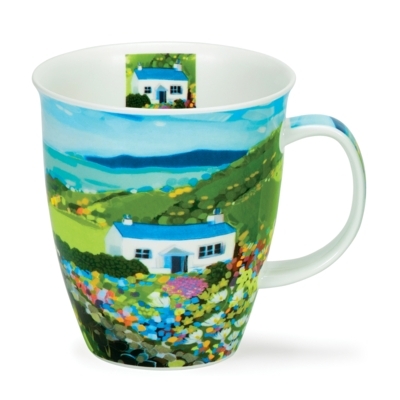 Unspoilt, peaceful sea view have been captured and recreated in this charming design by Jill White. Wonderous, wild flower filled fields lead to sandy edged seas. A pretty cottage, beautiful green hills and a distant turquoise sea are the main features to this warm and colourful design.